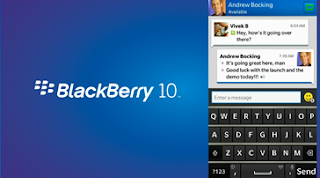 A few more BB 10.1 details leak out as does an off-contract price for the Q10! We've already heard a few details which we're expecting to see in Blackberry's upcoming BB10.1 update to the QNX-based operating system which is set to launch with the Blackberry Q10, but it seems like the guys over at Crackberry managed to get their hands on some more details today! It seems like a few more details about the BB 10.1 update have been leaked through a document at the Canadian carrier Bell. The document tells us that BB 10.1 will add a fair few new things to the operating system including a new HDR camera mode, new notifications for contacts and messages, the ability to transfer data from a BlackBerry 7 device using BlackBerry Protect something which will make the whole process a lot easier and we've already heard about the re-theming of apps to make use of the inky blacks from the amoled display! While there's no exact release date in the info we do know how much the new all qwerty phone will be in Canada and it's not cheap! The phone will set you back a huge $699 (£446 or USD $681) if you pick one up without a contract! When you consider that the internals from the 8MP camera through to the dual-core processor are the stuff of last year's flagships you have to seriously consider whether or not it's worth the money which Blackberry want to charge you! For those of you who are after a qwerty enabled smartphone though this will be the obvious choice! Let us know your thoughts on the phone and the price in the comments below!